Is a mouthful of metal better than crooked, misaligned teeth? What if you could avoid both? 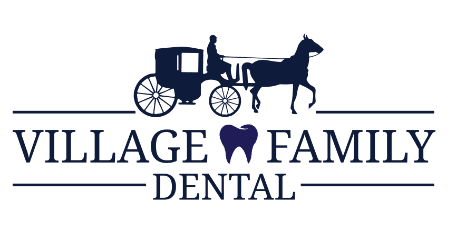 At Village Family Dental in Clemmons, North Carolina, the experienced team of dentists offers noninvasive Invisalign® teeth-alignment treatments. Get a perfect smile without the annoyance of braces. Book an appointment on the web, or call Village Family Dental today. Invisalign is a revolutionary new way to straighten teeth, offering an appealing alternative to traditional orthodontic treatments like braces. This treatment uses clear, plastic aligners that fit over your teeth to gradually straighten them over time. You need to wear Invisalign aligners at least 20 hours per day to achieve ideal results, but the aligners are removable for teeth cleaning and easy eating. When you’re not eating or brushing your teeth, the aligners should remain in your mouth. Who’s a good candidate for Invisalign? If you have major orthodontic and alignment issues, your dentist could recommend a different approach. The best way to find out if Invisalign is right for you is by scheduling a consultation. A dental expert at Village Family Dental examines your teeth to make sure Invisalign is the right choice for you. He uses a digital scanner to create 3D images of your teeth or makes physical impressions, using these to develop a unique treatment plan for you. Your dentist then customizes clear, plastic aligners that fit your teeth and move them into ideal alignment. To keep your teeth moving in the right direction, your dentist occasionally makes new aligners. This process continues until your smile is just right. Want to straighten your teeth and have a perfect smile without the pain, discomfort, and inconvenience of metal braces? Book online or call Village Family Dental to find out more about Invisalign.